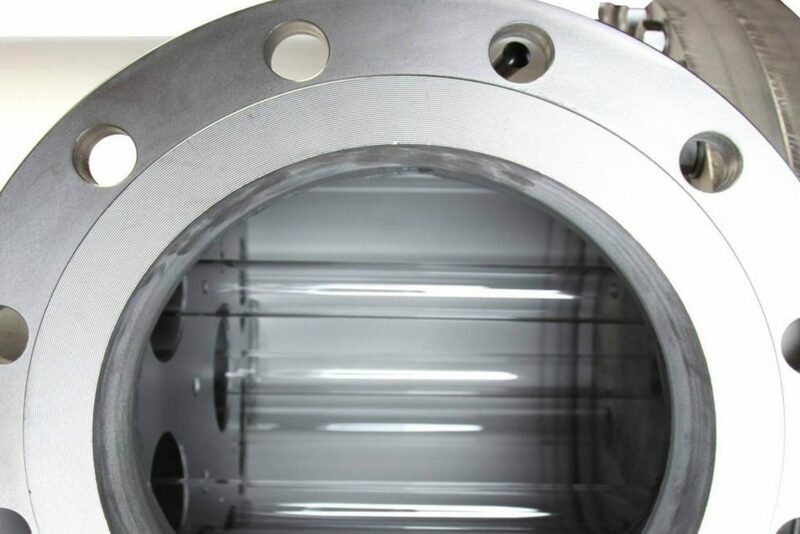 A UV disinfection system is a high-tech water treatment system, which eliminates germs and bacteria from drinking water. The process involves irradiating the water with UV light. Irradiation with UV light is a recognised disinfection method and a legal requirement in several countries. 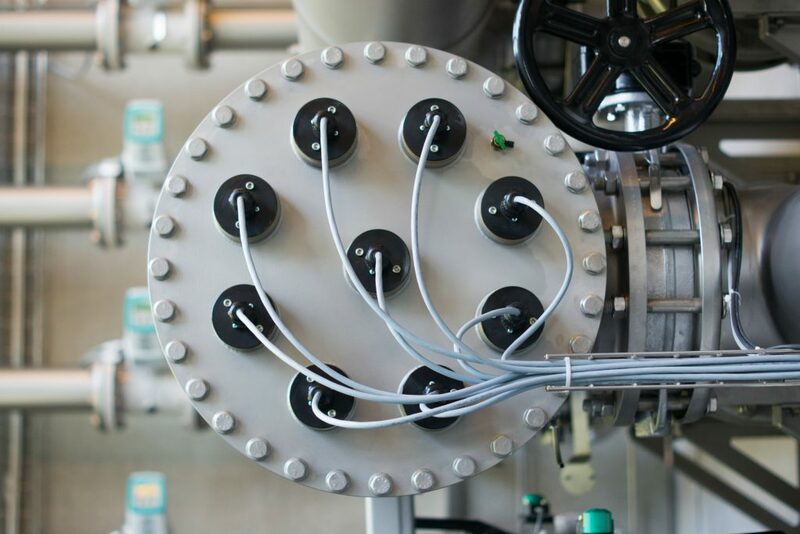 The UV system is installed on the discharge pipe of the water treatment plant where the water is led through the system’s built-in quartz tube and irradiated with ultraviolet light. The ultraviolet light from the UV-system breaks down the bacteria in less than a second. Irradiation with UV light creates a safety barrier that eliminates harmful germs, bacteria and other undesirable microorganisms. Kemic Water Technology supplies a UV disinfection system that is fully automatic and can be connected to the waterworks’ SCADA system. The design of a UV system is based on the capacity of the waterworks and the UV transmittance of the water. This ensures the right transillumination. 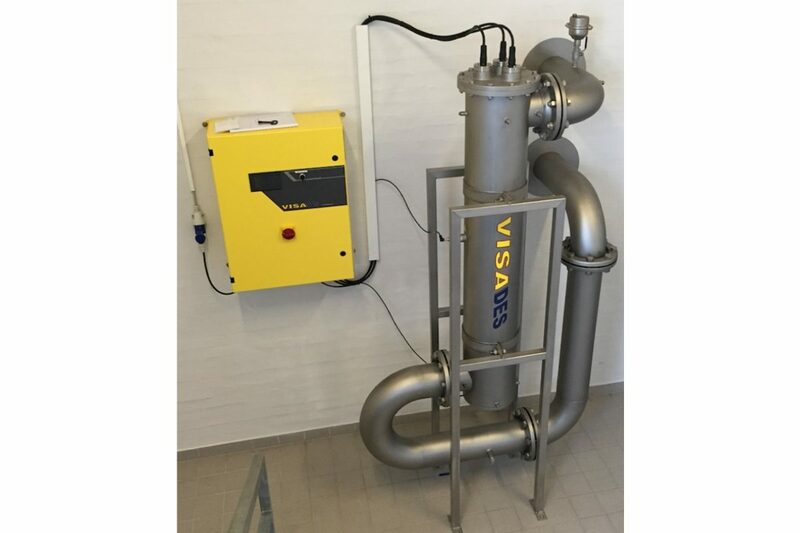 When a UV system is installed on the discharge pipe of the water treatment plant, a hygienic safety barrier is established which protects consumers against contaminated water. 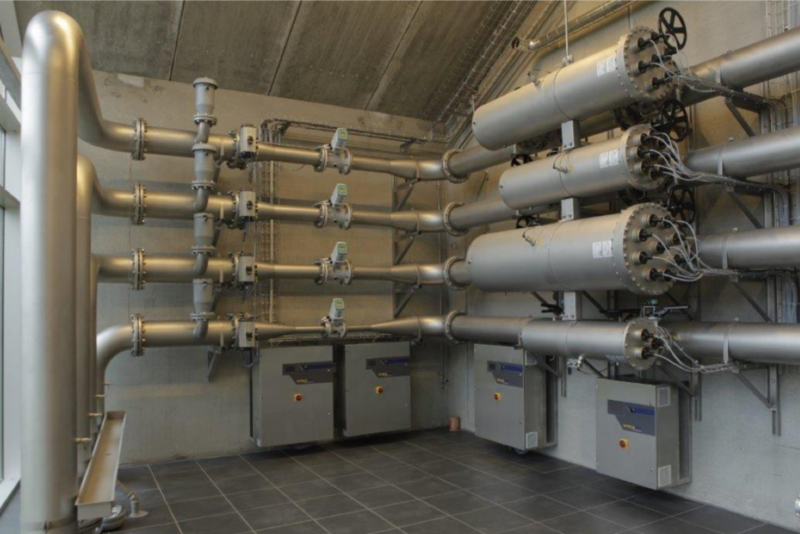 Kemic Water Technology can permanently install a UV disinfection system. However, it is also possible to rent a mobile UV disinfection system from Kemic Water Technology if it is only needed for a limited period of time. 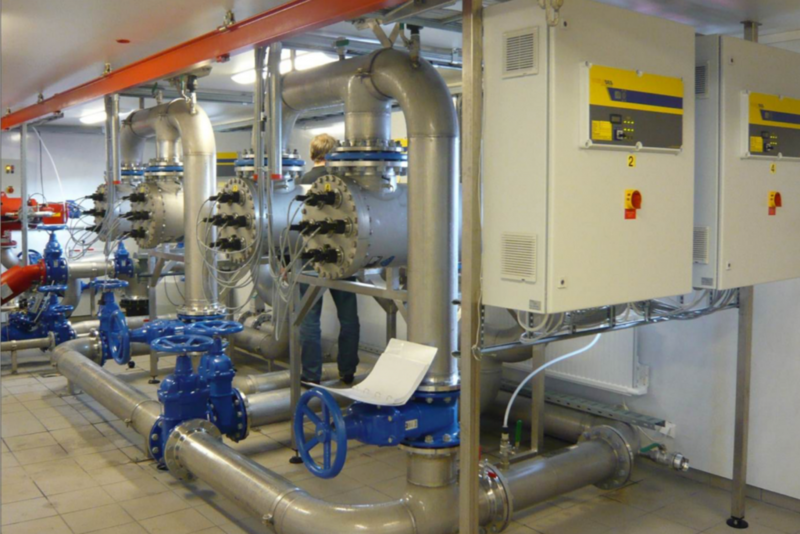 All of Kemic Water Technology UV disinfection systems have the necessary European licences. If you are considering purchasing a UV disinfection system, you should be aware that a special permit is required.